We are grateful for the opportunity to care for your child. Please review the information below if you have questions about our safety and security policies. Please bring disposable diapers, plastic bottles, cups with lids, pacifiers or other soothing items, and extra clothes. Please make sure that your child’s belongings are clearly labeled with his or her name. Aside from a small personal item, please do not bring toys from home. For your convenience, a Nursing Area is available in the Infant Room. We ask that fathers and older siblings wait elsewhere while you nurse. For the protection of the children in our care, we cannot accept a child with fever, green nasal discharge, a persistent cough, vomiting, or diarrhea. In addition, we ask that you not leave children in our care who have been exposed to a contagious illness within the last 24 hours. No medication will be administered by preschool workers. (In Emergency situations, Epi Pens can be administered as prescribed). Toddlers and older preschoolers might be offered a snack of goldfish crackers, animal crackers, or Cheerios. If other snacks are offered, the teachers will post an Allergy Alert Sign. If your preschooler has food or insect allergies, please let us know. You can pick up an allergy information form at the Preschool Welcome Desk. For your child’s safety and security, at least two adults will be present in each classroom, except in the event of an emergency or special situation. 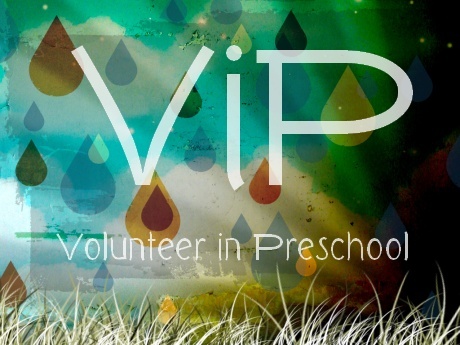 Every volunteer has completed a background check before they are permitted to work with children. Workers will not take children to the bathroom alone. They will assist children only when asked. Check-In is a critical part of our safety plan. Each child must be registered when they first attend. Please visit the Preschool Welcome Area, and someone will be glad to guide you through this process. When you take your child to the classroom, please wait at the door for a teacher to welcome him or her into the room. For the protection of the children, we ask that parents wait at the door so that we are better able to monitor traffic in and out of the room. Please sign-in your child on the sign-in sheets posted outside of each classroom. Be sure to include any additional information (allergies, potty needs, etc) that a teacher might find useful. A worker will give you a Preschool Security Card, which will be used as a claim ticket at pick up time. At times children cry when being separated from their parents—this is a normal part of the developmental process, and our volunteers are prepared to help your child through this time of transition. Separation becomes easier as children become used to the routine. We encourage parents to bring their children regularly. Please knock and show your Security Card through the window of the door. Please wait at the door for your child to be brought to you. This helps other children who have not yet been picked up to continue enjoying their time in their classrooms. We ask that only parents pick up preschoolers.